Can you guess which topic I get asked about more than anything else? The title of this post is probably a giveaway. Yup, people email me all the time asking for my tips on how to connect with nature sprits so I thought I’d write about it here. First things first, why would you want to connect with nature spirits? We have become dangerously disconnected from nature and we see symptoms of this disconnect everywhere. We do things to the earth that are destructive, abusive and short-sighted. From pollution to logging to fracking, our misuse of the earth’s resources is widespread and worsening. And it impacts us all. In Western society, we’ve become disconnected from nature’s rhythms by pursuing technological advances, and we’ve lost sight of the fact that earth is our home. Most of us spend more time on Facebook than we spend outside in nature. While indigenous cultures still respect and rely on nature spirits to guide them, we in the West have forgotten what we once knew and we’re paying the price for our amnesia. Author Richard Louv, who coined the phrase ‘nature deficit disorder’ stated that the human cost of “alienation from nature” can be seen in “diminished use of the senses, attention difficulties and higher rates of physical and emotional illnesses”. We are stressed, depressed and overwhelmed. We feel disconnected and unsupported. And deep inside we know that something is missing. We yearn for something more. A simpler way of life, infused with kindness, gentleness, respect, reverence and meaningful connection. Reawakening our connection with nature spirits helps us to live more harmoniously and consciously. We become kinder to the planet because we remember that we’re part of the whole. By reawakening your connection with nature spirits, you can call upon a huge network of support, guidance, healing, inspiration and love. You realise that the entire universe not only has your back, but is a source of practical guidance for you. In my experience, nature spirits are wise, practical, funny, loving, playful, and delighted to co-create with us to serve the planet and all beings who live here. I’m not going to give you a definitive list of types of nature spirits because I don’t have one. I can only speak from my personal experience and those I have a living relationship with. Everything is alive and has consciousness. There is Spirit in all things. I have a living relationship with stone spirits, flower spirits, tree spirits, water spirits, land spirits, devas who hold the blueprint for different places and different plants, and the elemental beings of earth, air, fire and water. I hope this blog will give you ideas to play with in your own explorations of nature spirit connections. Maybe it will plant a seed. Maybe it will confirm something you’ve experienced yourself. Maybe it will open your mind and your heart to try new things. 1. Be present and grounded. 2. Be willing and open-minded. 3. Be respectful and humble. 4. Go lightly. Be playful and have fun. 1. Be present and grounded. The more you deepen your connection with the earth, the more in tune you’ll feel with nature spirits. Some people imagine roots or magnets coming out of the soles of their feet. Become aware of the earth beneath you, the sky above you, your heart in your centre and breathe – long, slow deep breaths. Notice your surroundings. Pay attention to where you are, the season, the time of day, the plant life, insects, birds, evidence of animals (feathers, bones, etc.) Be here now. 2. Be willing and open-minded. Nature spirits are all around us even if we can’t see them, so meet them in the spirit of curiosity. Be open to the idea that there is a world beyond your everyday senses that you can tap into if you genuinely want to. Spend time outdoors during magical times of day, e.g. dawn and dusk. Slow down to nature’s pace and be patient. It might take a while for nature spirits to appear to you but it’ll be worth it. 3. Be respectful and humble. Nature is the home of nature spirits so we need to remember that and be respectful when we’re outside. Ask what you can do, listen to any guidance you receive, then do it. Say hello. 4. Go lightly. Be playful and have fun. I remember reading a book about connecting with tree spirits years ago in London and sitting seriously by the banks of our local river trying very hard to ‘connect’. Nothing. Nada. I’ve also read elaborate invocations to elemental beings and tried to learn about various orders of nature spirit and honestly? It left me cold and sucked all the joy out of it because I was trying too hard. Anything that requires a huge effort to learn takes us out of our hearts and into our heads. In my experience, connection with spirit happens organically when we stop taking ourselves seriously, lighten up and simply drop our awareness into our hearts. Laugh, play, enjoy yourself. 5. Listen to your heart. It will guide you by giving you inner promptings. You might feel a prompting to take a particular path through the park and receive a message. Or you might feel drawn to a particular flower because it has the energetic vibration you most need. Listen to your heart, follow it, trust it. By breathing through your heart, communication becomes easier. 6. Release expectations. You probably won’t hear a booming voice like Morgan Freeman greeting you by name and giving you a wise sound-bite that stops you in your tracks. (You might of course, but generally I find that’s not the way it works). The messages tend to be more subtle and quiet, but if the nature spirits really want you to notice something they’ll let you know. 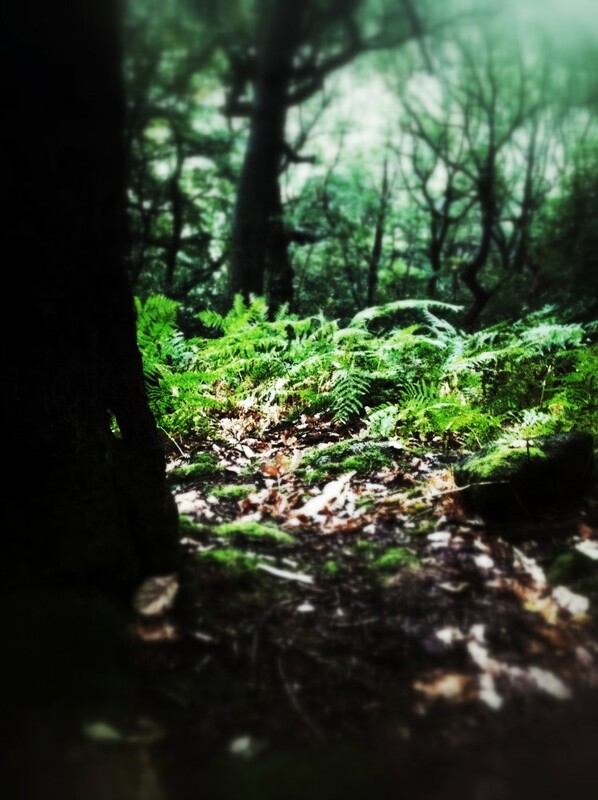 I was walking in the woods one day, when a song started playing on my phone in my pocket. N.B. I never listen to music on my phone, the only reason I even had music on my phone was because my son had been messing with it and synched tunes from my computer onto my phone. The track was called ‘Gnome Woods’. Jackie Stewart is trained in spiritual counseling, reiki, Gaia healing, anatomy and physiology, and flower, gem and crystal essence therapies. She teaches and practices "Soul Alchemy for the Wild at Heart" and runs the blog/website FlowerSpirit.co.uk. To read the full version of her article, visit: flowerspirit.co.uk/how-to-connect-with-nature-spirits.